I harvested the red cabbage this week, making ready for the summer garden. The three heads were smaller than other years which seems odd given the good rains and cool weather. 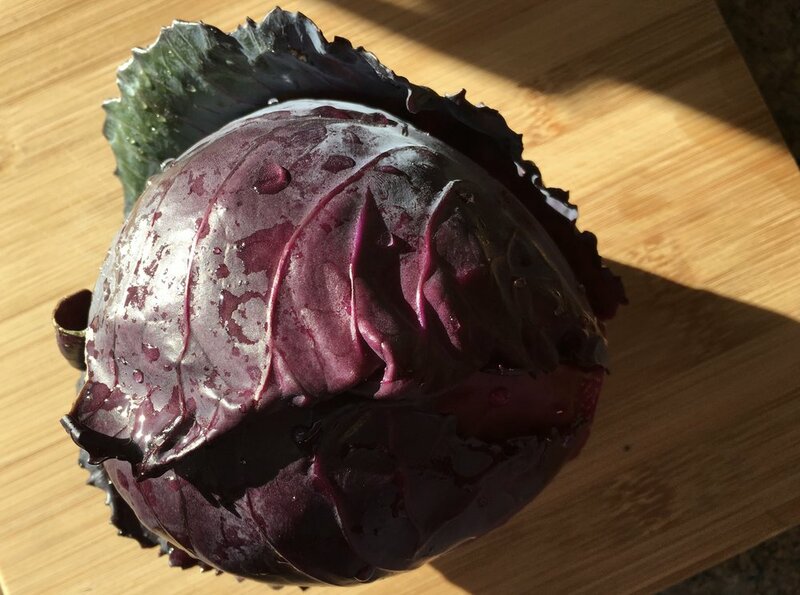 So instead of being overwhelmed with red cabbage I’m enjoying using it with my favorite recipes. The Pork and Red Cabbage Skillet is hands down, my favorite use of the red cabbage. Red onions tossed in apple cider vinegar and salt are added at the end to the wilted cabbage with a splash more vinegar and a handful of pepitas. Medallions of pork tenderloin added flavor to the pan before the cabbage went in. The nastiest of the outer cabbage leaves were favorites of the tortoises that live across the street. One is over fifty years old. Wonder if he’s ever chomped on homegrown cabbage. Checking my records, I noted the spinach harvest has persisted for two months and I expect a few weeks more. Once again, our cool spring extends the harvest of many of the winter crops. 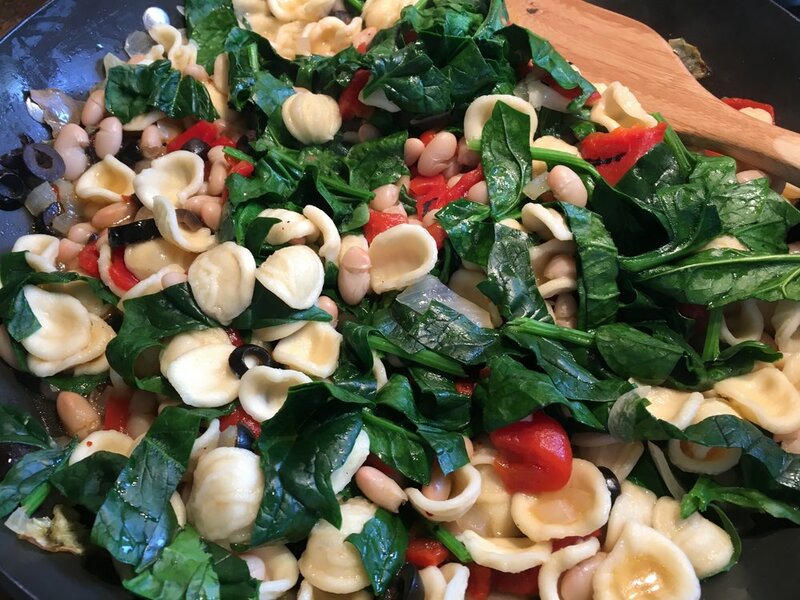 This is Chickpea and Spinach Orecchiette with Crispy Lemon Bread Crumbs (before the bread crumbs and with cannellini and jarred fire-roasted peppers). It was fabulous with the very fresh spinach. Themed garden salads continue as a current obsession. After the photo, I added goat cheese, nuts and a cinnnamon-pear balsamic and olive oil dressing. Lettuce season is ending and some of the heads are beginning to bolt. 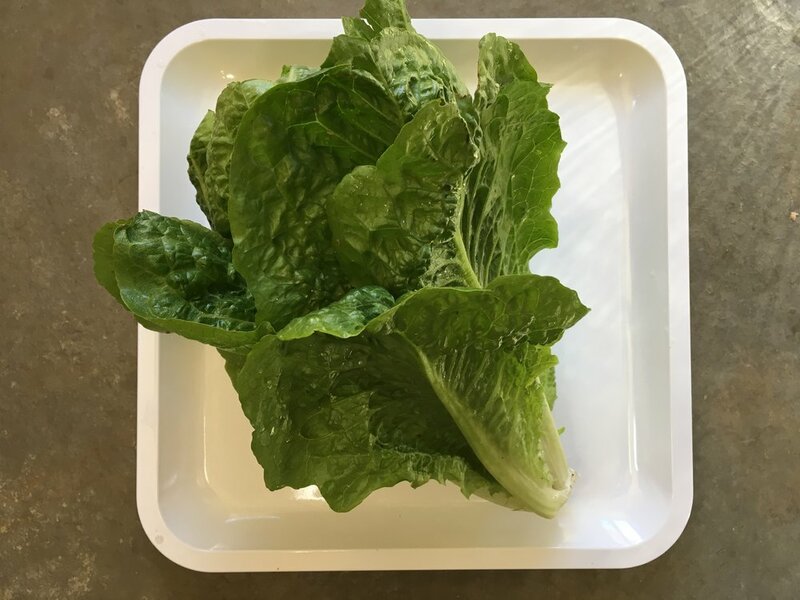 I’ve noted that the romaine lettuce persists longer without bolting. Another fifteen heads of lettuce still remain in the garden so I ‘m giving them away with abandon before warm weather takes the crop. I have summer lettuce seedlings waiting in the wings for the shadier areas of the garden. 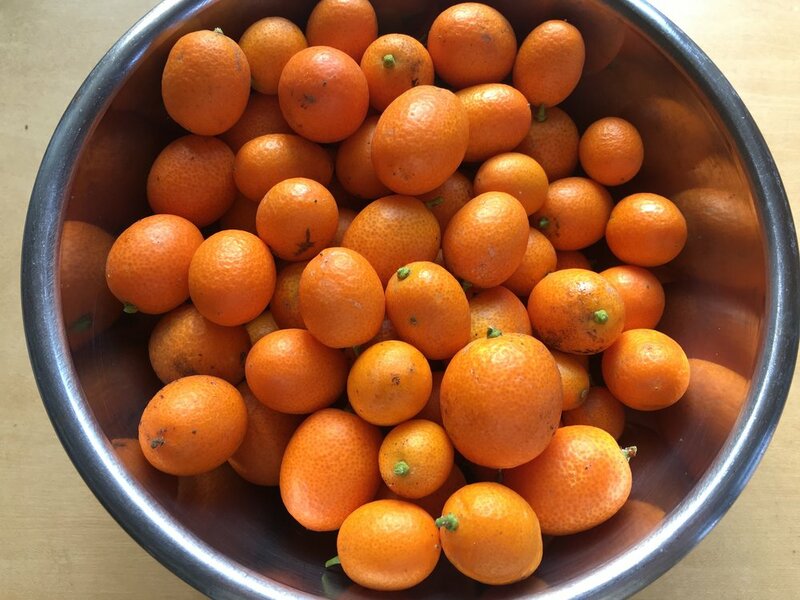 I harvested the last of the kumquats but decided to eat them for snacks and in salads instead of making more marmalade. The longer they stayed on the tree, the sweeter they became. After the harvest, I moved the tree to a larger pot on the patio so I’m hoping for even more kumquats next year. I made another batch of the Sweetened Oven Dried Orange Slices as our orange crop wanes. And then there are the California poppies growing in my native plant garden.